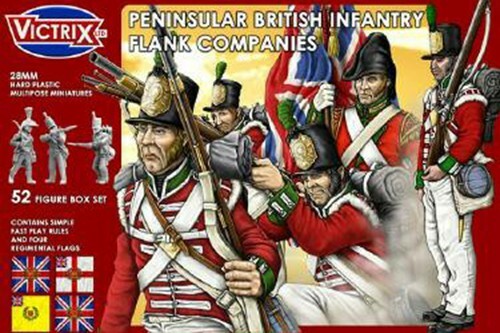 British There are 7 products. 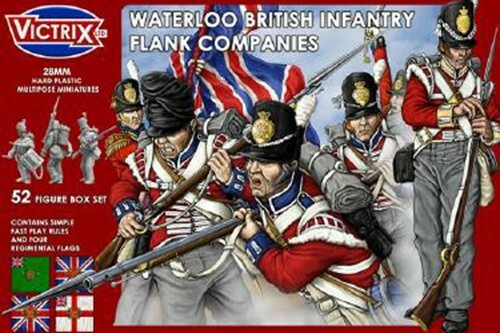 52 figure infantry set with Stovepipe shako’s including officers, standard bearers, NCO''s, and drummers.Fast play rule set included. A 4 piece measuring rule with the figures that can be used in conjunction with the rule set. 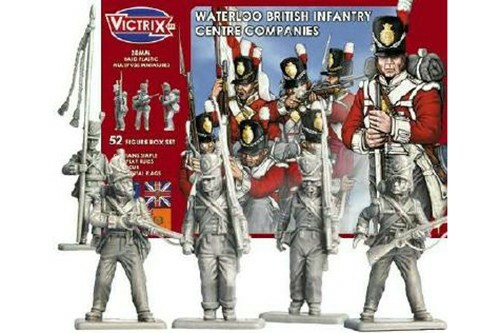 A set of 2 kings colours and 2 regimental colours. .
52 figure infantry set with Belgic shako’s and shoulder wings. 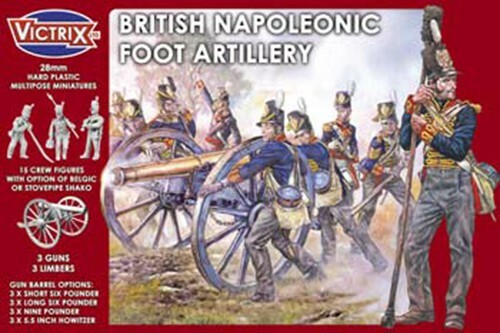 The set includes command figures for officers, standard bearers, NCO’s, drummers, 4 flags and fast play rules..
52 figure infantry set with Stovepipe shako’s and shoulder wings. 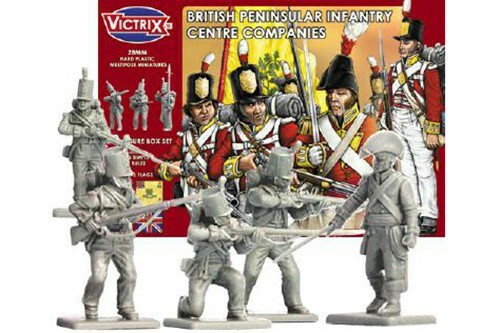 The set includes command figures for officers, standard bearers, NCO’s, drummers, 4 flags and fast play rules..